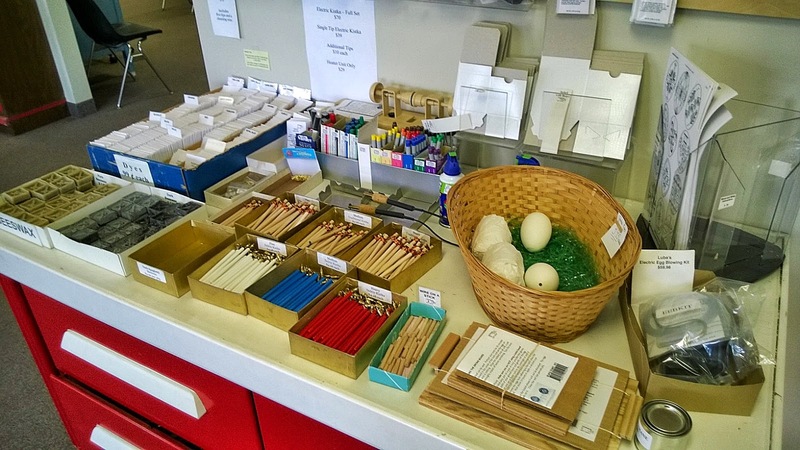 While Laura and I were up in Minnesota in July we made our first trip to the Ukrainian Gift Shop in Roseville, MN. We went hoping to get some pysanky supplies to maybe give decorative egg design another go and did we ever hit the motherload! 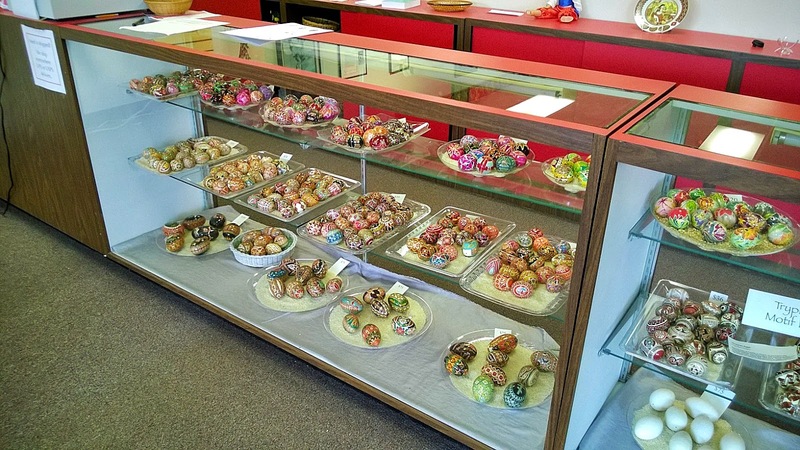 They had so many great pysanky eggs on display. It's not the kind of store that gets too many customers that the owners didn't know personally and so they had a few questions as to why we were there. We explained that we had lived in Ukraine last year and we soon became fast friends. 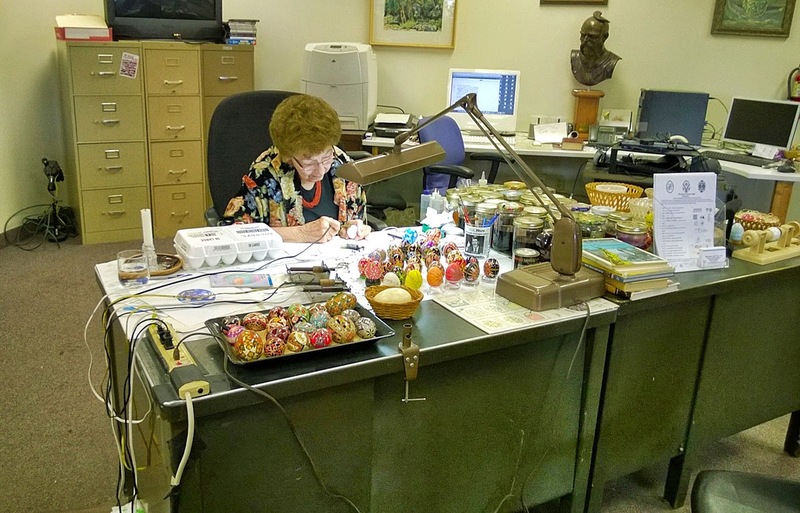 We got a little tour of the shop and even got to see some pysanky being made. We did also find all the supplies we would ever need. 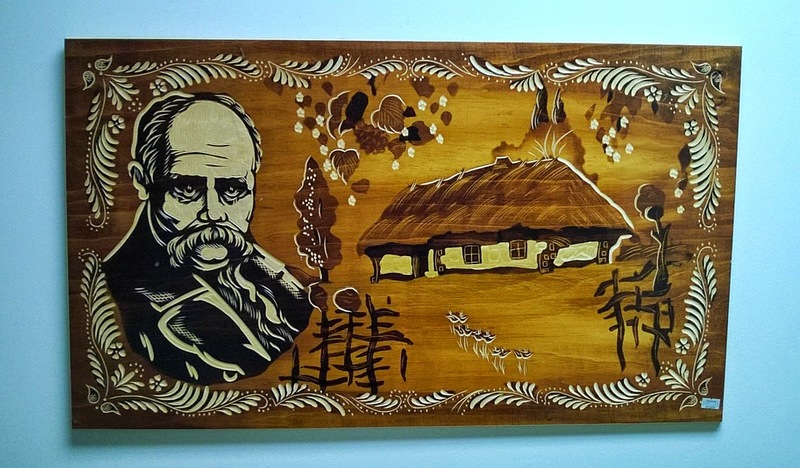 On one wall they had a wooden painting of Ukrainian poet Taras Shevchenko...who I've written about many many times. They even had a small profile bust of Taras that I bought. 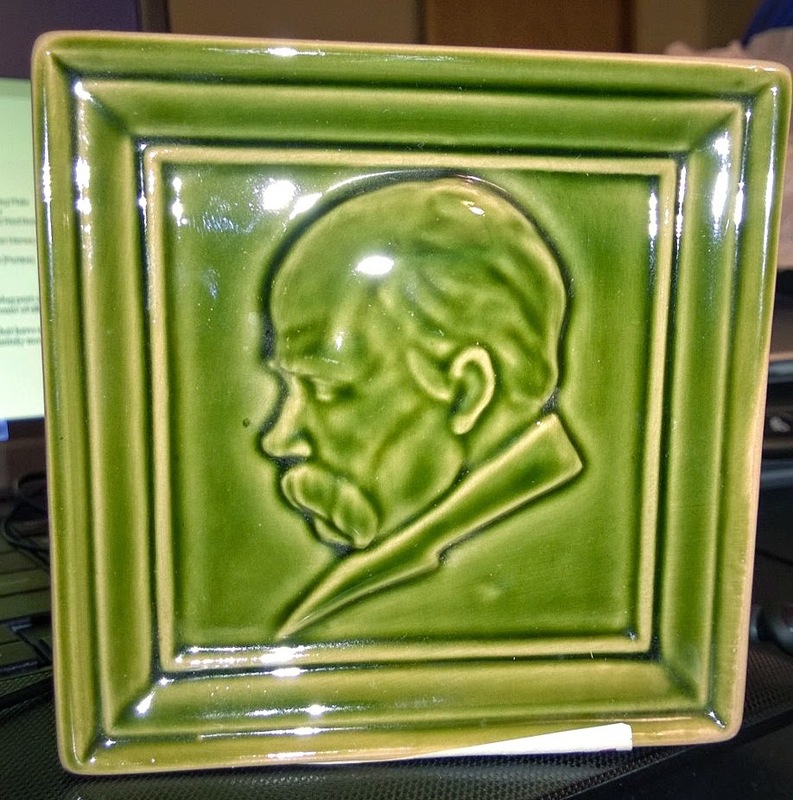 It was some very old stock and was originally made in Russia before the fall of Communism based on the tag on the piece.